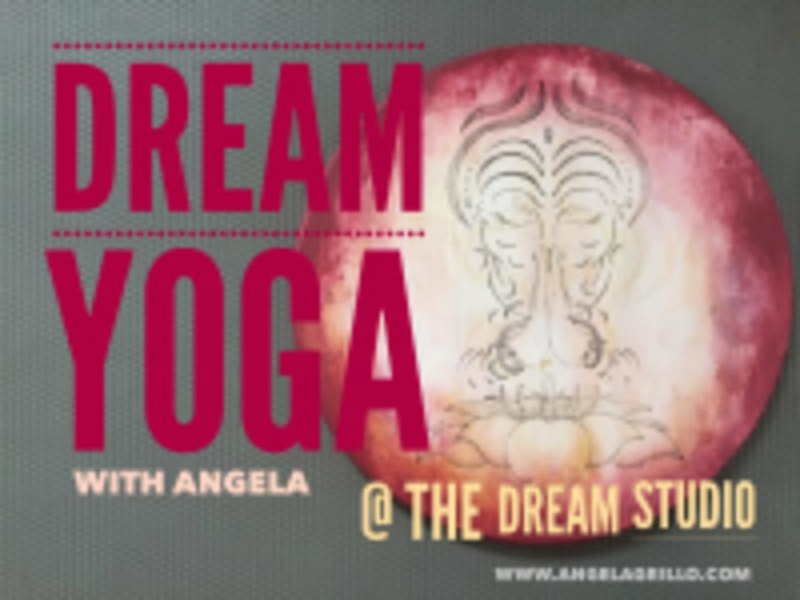 Start taking classes at Angela Grillo Dream Yoga and other studios! Dream Yoga is a unique practice that welcomes a conversation between your body and your unconscious mind. Through guided exploration of your dreams and sensations that come forth in the body, you are able to integrate and/or transform these images and feelings into restorative energy, power and truthful expression of the whole self. Angela interweaves her offerings as a Dream Reader and her guidance as an Akhanda Yoga Teacher to the mat. Dream Yoga sessions include Breathwork, Visualization, Dream Embodiment, Hatha Yoga and Free Movement. All levels always welcome. Please wear comfortable workout clothing that you can move freely in. For Dream Yoga, bring a dream image or waking any other unconscious material you may be pondering about. You may also want to bring a journal to take notes in after a dream yoga session! Angela Grillo Dream Yoga is located at 4524 S. Saratoga St. in New Orleans, LA. Lovely class! Even lovelier instructor. I left feeling enlightened and energized. If you dont mind a tiny group atmosphere (class is held in a small room of a home, with only 2 other people- instructor included) then I recommend this one.